My life was pretty typical. My ‘owner’ if you’d call her that, didn’t really know I existed and honestly there wasn’t much going on that really had me concerned I wasn't being noticed. I had my teammates ... Diaphragm, Multifidus, and Transverse Abdominis ... and we worked awesome together. We walked, we ran, lifted weights, did step aerobics ... you name it! I never felt weak, annoyed or irritated. My teammates and I worked when we needed to. I (and they) were rockin’ it! Then, one day, a foreign object entered my realm. At first I noticed the common cycle that happened each month stopped. I waited for it to start again, with no luck. Soon I noticed a slight pressure. Not the usual one that relaxes, but one that became constant. As time wore on, the pressure increased. I started to disconnect with my fellow teammates (insert image of hands out stretched, trying to reach for one another, as we slowly get pulled apart). This went on for what felt like 10 months! Then my world got really rocked! It hit hard one day. I was under tremendous stress and strain, and I had no choice but to relax and give up what little tension I had left. I stretched, I thinned out. The pressure that had been weighing on me for months literally passed right through me! Oh the pain! It impacted every ‘fibre’ of my being! Then it was over. The pressure was gone, and I was panting with exhaustion. What the *beep* just happened??? I was spent. Weak and tired. After what felt like only hours, all of a sudden of I was instructed to get back into action. My owner started moving, standing up, carrying a small weight. But I was weak, and tired, and my teammates were nowhere to be found. I felt like I was floating around in an abyss. As the days went on and the movement continue, I was able to slowly regain some strength. But nothing was the same. I couldn’t connect with my team. I couldn’t do my job keeping organs in place. Muscles I don’t normally connect with were working, and that really made my job harder. Months passed, then a couple of years. I never really was the same but I did get some sense of function back. Except, I was not as amazing as I once was, and I never really connected well with my teammates again after that. Then it all happened again. Months of pressure. Dramatic experience of strain and pain, then exhaustion. A rushed cycle of recovery with continued feelings of disconnect. As the years passed, I never felt the same. I could sense this was not a good thing. My owner seemed to complain about a lot of issues. I heard her ask ‘why she could stick her fingers deep in her abdomen’. I felt others push the pelvis around me trying to get things back in place. I sensed pain in my owners back, hips, and down her leg. I could tell, because her breath was shallow in certain movements. My old teammate the Diaphragm was really having a hard time too. Tension built all around. Then one day, an amazing thing happened. Well a number of things in fact! First, the pesky muscles that were doing my job were told to chill out. Somehow the owner managed to get them to relax. Then I noticed she was spending time with my buddy, the Diaphragm, as my owner worked on her breath. Soon, it was my turn. She started asking me to work again. She was telling me what to do! I had completely forgotten, and needed this important reminder. I also got an amazing massage by someone she called a 'pelvic floor physiotherapist'. It really helped removed my stiff spots and allow me to feel I could flow and move more naturally again. It took some time for my teammates and I to get back into the groove again. To retrain ourselves, to rebuild our strength, to remember how we used to operate together in movement. Our owner was dedicated to helping us out. She was persistent and consistent. And, here we are today. Working pretty damn well together again! I don’t think it will ever be the same as before, but our owner is aware of our value and I really feel we have a great understanding on what we all need to do to live happy and comfortably once more. And there you have it! The story as told by my pelvic floor. For the purpose of time, I suggested it leave out the first experience of pressure. My first was born by C-section. There was still significant impact on my pelvic floor and core team, but that is another long story that I will leave for the team to describe another time. Whether you delivery naturally or by C-section, the pelvic floor and core team are impacted and require care and attention to heal. 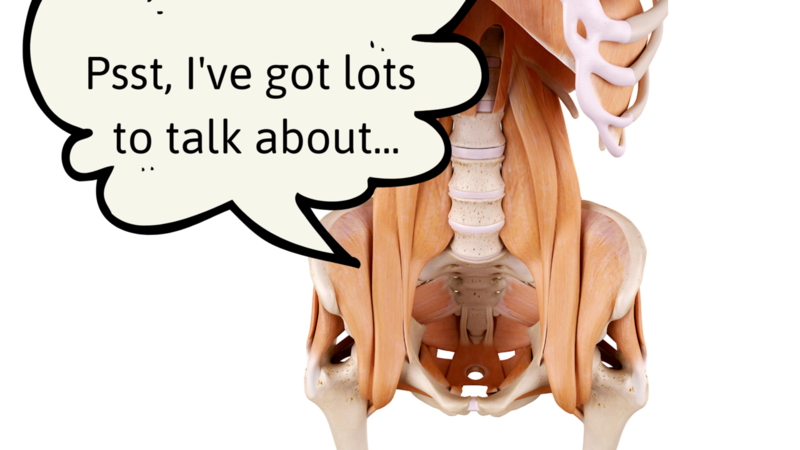 Left unattended, symptoms of pelvic floor dysfunction can progressively increase. If you’re struggling with pelvic floor dysfunction, whether you're 6 weeks or 16 years postpartum, there is help! I created the two-week ‘Pelvic Floor Bootcamp’ designed for anyone and everyone, at any stage of life, with any level of experience with exercise, as an initial place to educate you on what strategies to take to help your body. Eliminate the embarrassment and isolated feeling of leaking, the exhaustion of living with pain, the fear of movement, the lack of understanding on how to address a prolapse. Get the answers to help you make informed choices on the best strategy that meets the needs of your body in ‘The Pelvic Floor Bootcamp’. Sign up for the next upcoming session.